Award-winning international hotel chain, Tune Hotels, is all set to welcome its first guests in India with the opening of the 100-room Tune Hotel Ahmedabad this month. “We look forward to offering travellers to Ahmedabad an unbeatable proposition that combines great savings with a great comfortable stay and in a location that is annexed to the newest Shopping Mall in Ahmedabad. Our business model is designed to take care of the needs of travellers in India looking for great comfort without paying exorbitant rates,” said Mark Lankester, Group CEO of Tune Hotels. “Ahmedabad is an amazingly vibrant city in the fast growing state of Gujarat and we are looking to welcome both business and leisure travellers. We are very excited about this hotel as it marks our brand’s very first entry into India’s very exciting hospitality market. The Tune Hotel Ahmedabad aims to serve both domestic travellers and visitors from abroad, especially members of the large non-resident Indian (NRI) community from Gujarat settled in places like the US, Britain and the Gulf, who may already have had prior knowledge of the brand in the five countries we are already present in” he said. To celebrate the opening of Tune Hotel Ahmedabad, online bookings are now accepted with attractive all-inclusive room charges that start from as low as 599 Indian rupees (US$11 / RM34 / Bt330 / Rp108,000). Guests have the option to choose and pay only for amenities that they require. 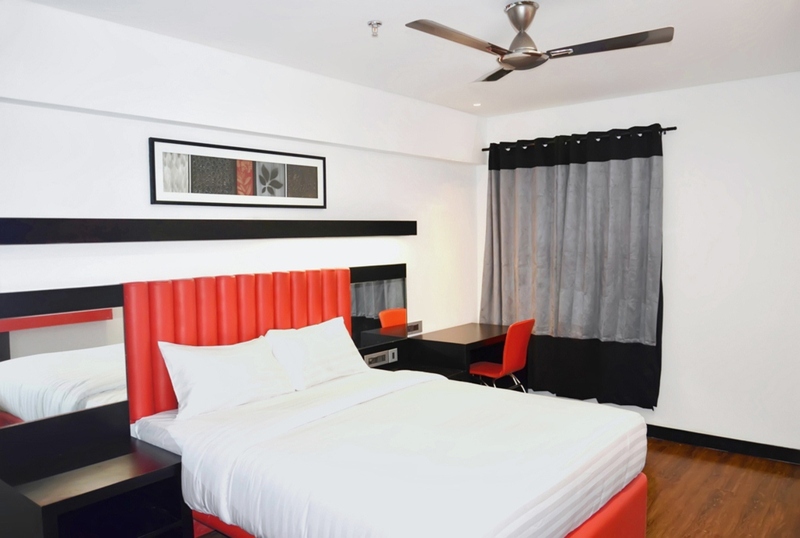 The promotion is offered exclusively online at http://www.tunehotels.com and bookings can be made from 3 May 2013 until 10 May 2013, subject to availability of rooms. The rate is available on a first come, first served basis, for stay period starting 15 May 2013 until 30 September 2013. The arrival of Tune Hotels in India will also introduce new green ideas to hotel stay. “We at Tune Hotels pursue a conscious policy of being environmental-friendly by optimising use of available resources, reduction of waste and by introducing processes that save on energy consumption. And our guests have endorsed our operations that encourage lifestyles that protect the environment,” Lankester said. “As part of our business philosophy, we strive to remain locally-relevant in each and every community that we’re in, and this includes being responsible towards the local environment. We invite our guests in India to celebrate with us the introduction of new green concepts.” The 100-room Tune Hotel Ahmedabad, annexed to the newly developed 4D Square Mall in the city’s Motera area, is well positioned on the main thoroughfare to the state capital of Gandhinagar and a stone’s throw away from Ahmedabad’s Sardar Patel cricket stadium. Providing world-standard, high quality accommodation by focusing on key essentials but minus the generally underutilised facilities commonly found in other hotels such as swimming pools, business centres and gymnasiums, Tune Hotels keeps its operating costs low and savings are passed on to guests in the form of super low rates. 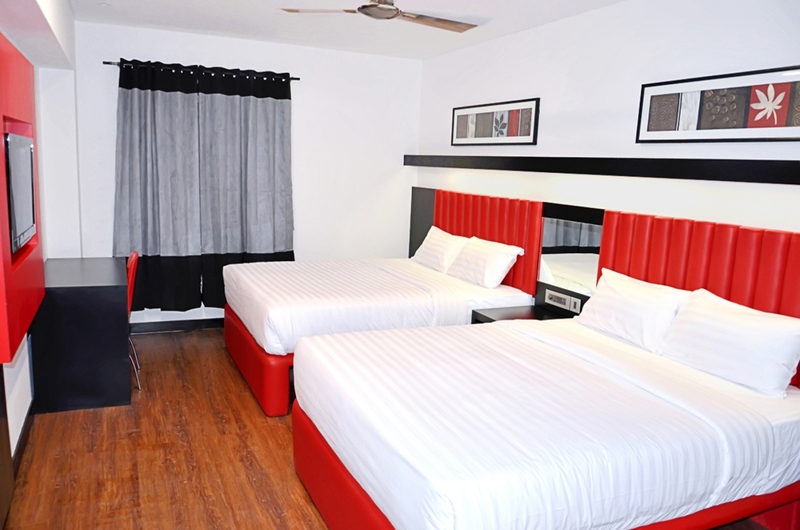 Aside from its standard single and double rooms, Tune Hotels will be introducing family rooms that can accommodate between four to six people in order to meet the needs of the Indian guests, especially in the wedding market. “In addition to larger room varieties, we have also made other adjustments in our offerings to serve our Indian guests better including more expansive food and beverage availability within the hotel. With a view to the huge wedding market in India, the hotel is able to cater to the needs for major banquet facilities for that total wedding experience. In fact, we’ve taken bookings for our very first wedding entourage already!” said Lankester. Apart from properties in major cities – Delhi, Mumbai, Kolkata, Bangalore, Hyderabad and Chennai –Tune Hotels is focusing on Tier-2 and Tier-3 cities along with hotels in the tourist triangle destinations of Agra, Jaipur and Delhi. Tune Hotels will have five to six hotels in Gujarat as part of our 20 planned hotels across India in the next three years. Tune Hotels has received over four million guests since the opening of its first hotel in Downtown Kuala Lumpur in 2007. With the opening of Tune Hotel Ahmedabad, there will be 29 Tune Hotels in operation globally. The rest are 11 in Malaysia, five in the UK, four in the Philippines, four in Thailand and four in Indonesia. By the end of 2013, Tune Hotels will have operating hotels in eight countries. Apart from India the company is set to open properties in Japan and Australia this year. Future projects are also coming up in the Middle East, Europe and Africa. Tune Hotels’ Indian expansion signifies growing economic relations between India and Malaysia, which has emerged as India’s key partner in Southeast Asia. Companies and business people are increasingly benefitting from these expanded business links and two-way flow of investment and people continues to rise. India-Malaysia trade hit a record high of $13.5 billion in 2012, a 7.3 per cent growth over 2011, while tourist traffic also continues to remain strong between the two countries. Tourist arrivals between the two countries have been on the rise with Malaysia being among India’s top 10 sources of tourism, while India was Malaysia’s sixth biggest source of tourists in 2012. The opening of Tune Hotel Ahmedabad comes as Asia’s largest low-cost carrier AirAsia plans to launch its domestic airline services in India in a new venture. “We see this as a great boost for not only travel between Malaysia and India, but adding further attraction to increasing travel within India. 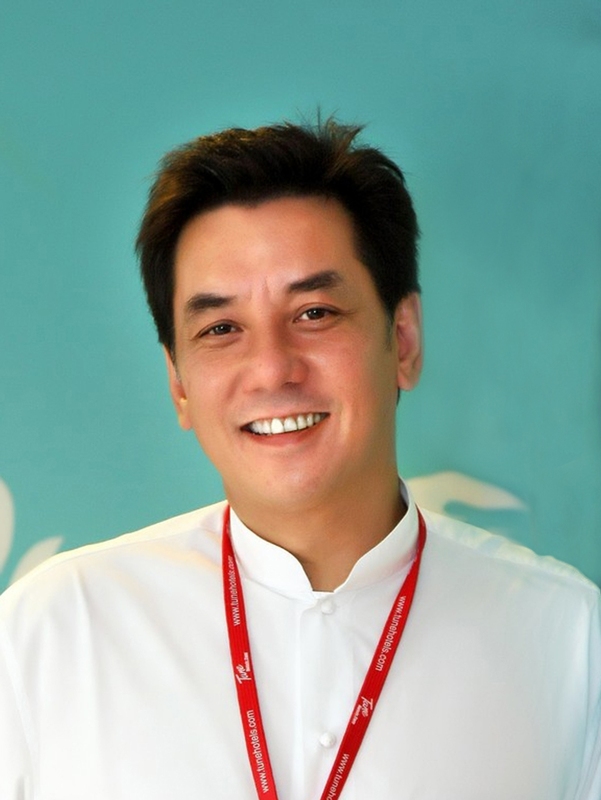 Like AirAsia, we pride ourselves on being a customer-focussed brand,” Lankester said.